Cellulite is a subcutaneous fat that causes skin to look dimpled, lumpy, and uneven. Common on hips, thighs, and buttocks, cellulite is more persistent in women than men and is not linked to weight gain or lifestyle choices. This means that cellulite can impact anyone, regardless of weight or age. Following significant weight loss, it is likely that your body will not look exactly how you envisioned. Particularly when weight loss is rapid, such as occurs with bariatric surgery, you may find loose and sagging skin throughout the body, along with stubborn fat deposits that simply will not respond to traditional methods of weight loss. For this reason and more, many people look to plastic surgery following weight loss. Are you unhappy with the way pregnancy has altered your breasts and body? Have you found diet and exercise are not enough to produce the physical results you desire? Do you think a mommy makeover may be the best solution for your needs? Take the short 10 question quiz below to find out. If you are interested in learning more about your candidacy for a mommy makeover, please contact Renaissance Plastic Surgery online or by calling our Indianapolis office at 317-575-9152 today. Lower back fat can make your entire mid body look uneven and unattractive. It can also impact clothing options, reduce physical ability, and make you feel less confident and secure in your body. Unlike fat accumulations in the belly and hips, there are few exercises that target fat deposits in the lower back. Even those that exist may fail to fully correct the problem, leaving you with more pronounced unevenness than before. 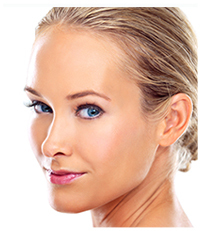 Breast augmentation is a surgical procedure. This means that some postoperative discomfort is to be expected as your body heals. However, Indianapolis plastic surgeon Dr. Joseph Fata works to reduce postoperative discomfort – and healing time in general – through our 24-hour breast augmentation recovery program. Everyone has a six pack. For most however, this grouping of abdominal muscles is somewhat obscured by a layer of subcutaneous fat. This fat is often resistant to diet and exercise, particularly as you get older, and even active, athletic, and healthy individuals may never fully experience a completely chiseled midsection without some assistance. When you undergo tummy tuck surgery, abdominal muscles that have separated are brought back together. The primary purpose behind this is to draw in the waist and help prevent abdominal herniation. A side-effect of this is the potential to strengthen and further tighten the core. During your tummy tuck consultation at our Indianapolis office, board-certified plastic surgeon Dr. Joseph Fata can discuss exercises that you may wish to adopt following recovery to enhance your abdominoplasty results. Liposuction is the fastest and often the most effective way to remove stubborn fat deposits from nearly any area of the body. 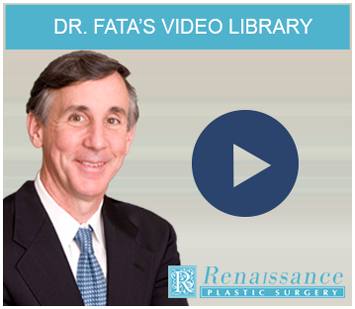 Indianapolis plastic surgeon Dr. Joseph Fata offers advanced liposuction techniques designed to help improve safety and produce remarkable results, but some care will be required on your part to help ensure a speedy and full recovery.